A hot and cold water dispenser is a great addition to any home or business. Not only do you have access to a supply of clean, fresh water, you can also fix yourself a hot beverage as well. That being said, some people struggle with maintaining the correct levels of hydration. Many people worry about how often and when they should drink their water for the best results. Let’s take a closer look at water consumption and how it can affect your body at different times of the day. Do you get up and put the coffee on for a hot beverage first thing in the morning? 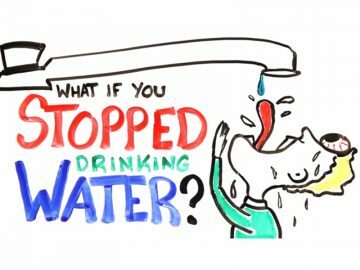 Many of us enjoy a hot cup of coffee to ease us into the day, but why not delay it for a while and enjoy a glass of water first. As we sleep at night, our body becomes very dehydrated, and we need to rehydrate as quickly as possible. Drinking a glass of water, perhaps with a twist of lemon added, is the perfect way to start the day and lift some post sleep brain fog. As the day moves on, we inevitably become hungry for a snack. There is a great trick to remember before you enjoy your snack that has great health benefits. Drinking a glass of water half an hour before you eat your snack or meal can really help with the digestion of your food. Your digestive system gets a bit of a kickstart, and the food you consume is able to pass through your body easily. However, be careful not to drink too much water before or after you eat as this can dilute the digestive enzymes and lower your level of nutrient absorption. Enjoying a glass of water before going to bed can help you to keep hydrated as you sleep. We all lose water as we sleep by breathing and perspiring, so this glass of water acts as a preventative measure. However, the trick is to not drink too much, otherwise, you might have to deal with unwanted trips to the bathroom. 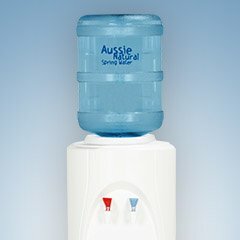 If they’re interested in a hot and cold water dispenser, Perth based residents and business managers should contact us. 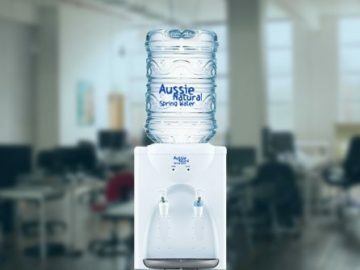 At Aussie Natural, we supply and maintain a large selection of water products, including an excellent hot and cold water dispenser. 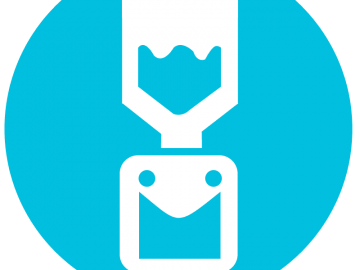 All of our product range is manufactured to the highest standards and is fully compliant with Australian regulations. We deliver spare water bottles directly to our client’s doors for additional convenience. Our sales team is standing by to discuss your needs in greater detail and to answer any additional questions you may have.